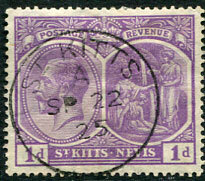 A12 duplex dated OR/FE 21 21 on KGV 1½d (SG.26). 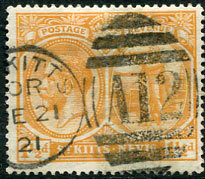 */MY 26 56 on horiz. 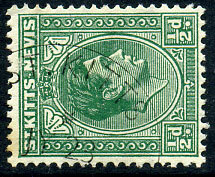 pair QE2 1c (SG.107). 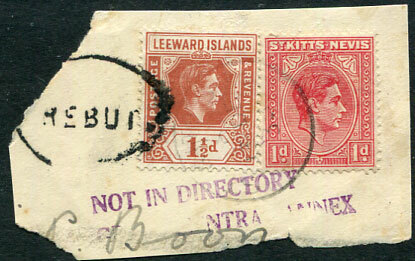 cds portion of duplex dated OR/MY 28 08 on ½d (SG.1). 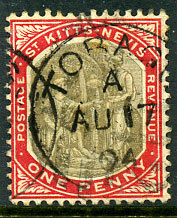 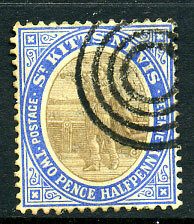 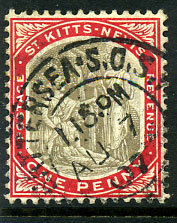 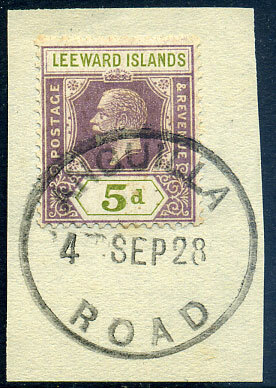 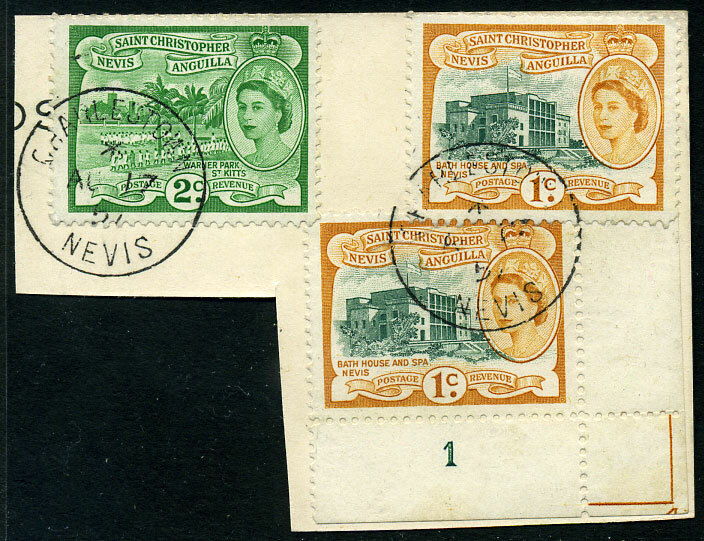 dated OR/AU 23 05 on ½d (SG.1), thinned lower right corner area, rare on early St. Kitts issues (normally found on Leewards). 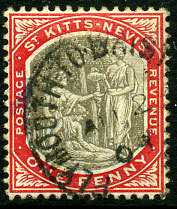 arrival dated AU 7 07 on 1d (SG.14). 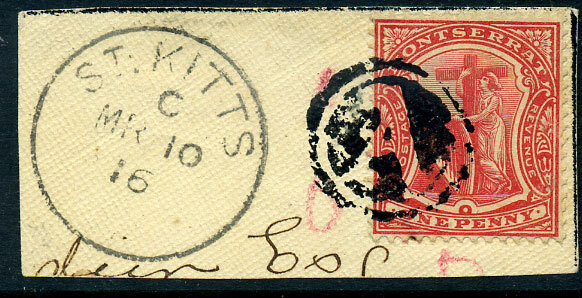 dumb maritime cancel on 2½d Columbus (SG.4).